In 2012, the local community of Newton (Three Mile Waterloo) provided us with an area of land for the construction of a school. As the capital’s infrastructure is stretched to its limits, the population growth in the nearby city centers is increasing drastically. The need for extra school capacity is therefore urgent in these expanding neighborhoods. In partnership with the local population we established a school, which was inaugurated in May 2015. Currently the school consists of a kindergarten, two primary school classrooms and a computer lab. The school is run on a daily basis by a local team of motivated teachers and staff. In collaboration with the Energy Assistance association, the school is also equipped with solar panels. The construction of a sanitary block is the next step to be taken in the approval process by the government. Such approval is as a matter of fact needed to be eligible to subsidies. 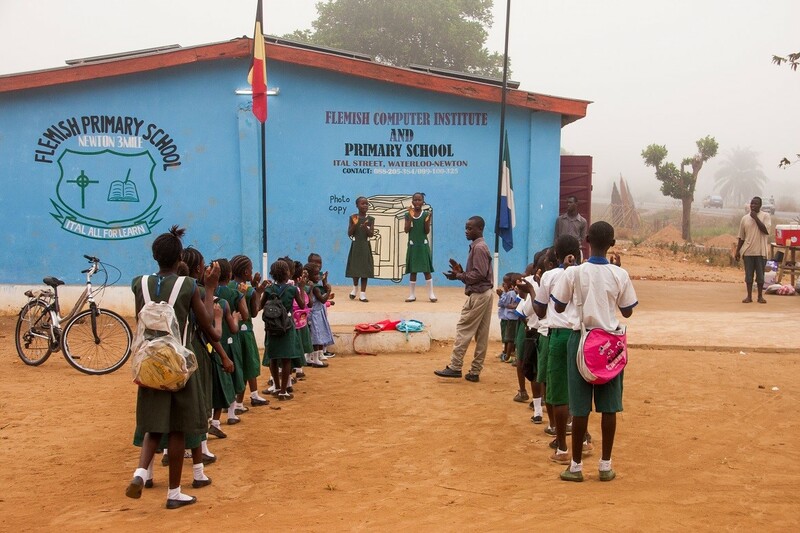 A school that is fully self-supporting, is as a matter of course the ultimate goal of our project. © 2019 Eye For Salone.